Again, I return from a long blog hiatus, and I’m proud to say that I have officially completed my graduate degree. Now I’m happy to share some of the work that’s kept me busy these past few months. For my last class, I stepped into the shoes of a corporate communications leader. From financial communications to corporate social responsibility (CSR), corporate governance and issues management, we covered a lot of ground. Given the broad applicability of these lessons, we began each class discussing the latest business news and also took turns posting more in-depth analyses to the DePaul Corp Comm Class Blog. I’ve included my analysis regarding TripAdvisor’s announcement of a new booking policy and education portal below. I believe their policy approach and launch communications hold valuable lessons for those involved in CSR strategy and communications planning. Many organizations are exploring the uses of social media to connect with their customers in new and more personal ways. These opportunities also extend to individuals seeking thought leader, entrepreneur or simply tech-savvy status. This is especially important for those who work in the digital communications field, but also for leadership looking to take a more proactive role in brand interaction. A great example in the higher education community is University of Cincinnati’s President Santa J. Ono. While his background is in medicine, Ono is regarded as a social media trailblazer for making himself completely accessible to UC stakeholders. He actively tweets, posts and engages with students, parents, faculty, staff, alumni and fans. His success on social media demonstrates the power of digital platforms to foster strong and lasting connections with your community. 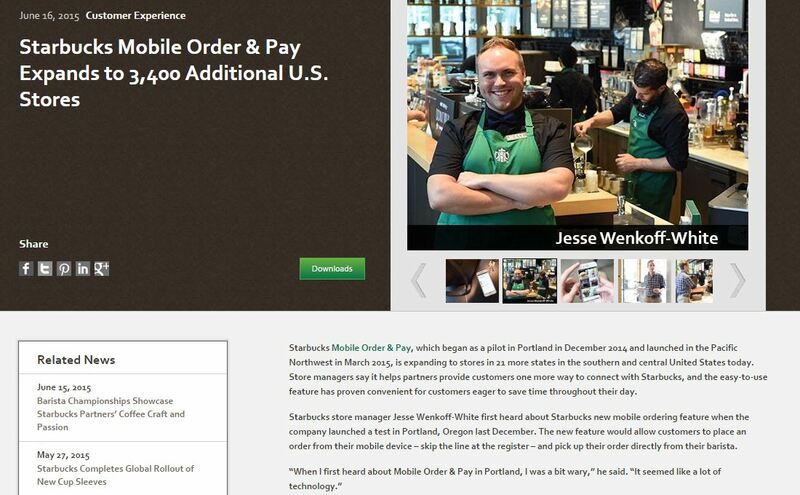 Starbucks’ online newsroom delivers engaging story packages that include photos, videos and downloads. As I close the book on my Public Relations Writing course, I wanted to take a moment to share my key takeaways with my fellow communicators. To put it simply, our job is to create and deliver newsworthy content. While messaging and audiences will vary from role to role, all communications professionals must know how to craft a newsworthy story and how to effectively deliver stories to target audiences. Let’s take a closer look at what this means.